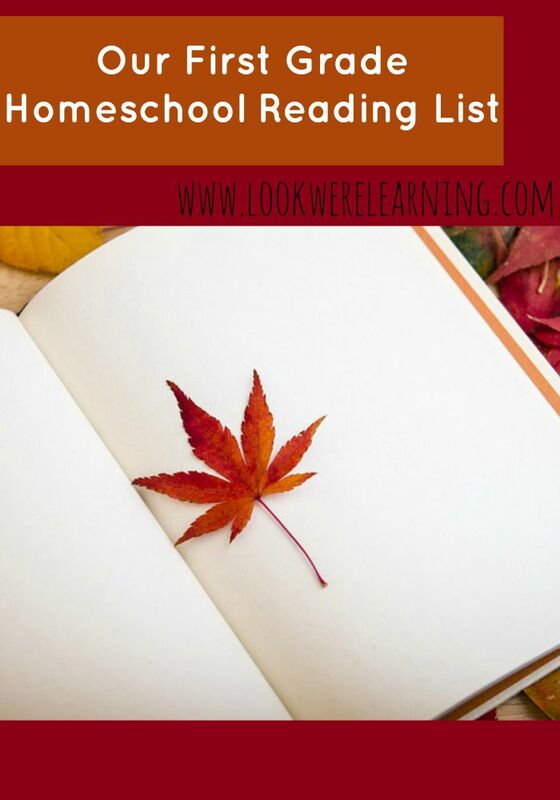 Reading is a huge part of our homeschooling experience. I’m a bookworm and nothing would make me happier than to raise four little bookworms of my own. 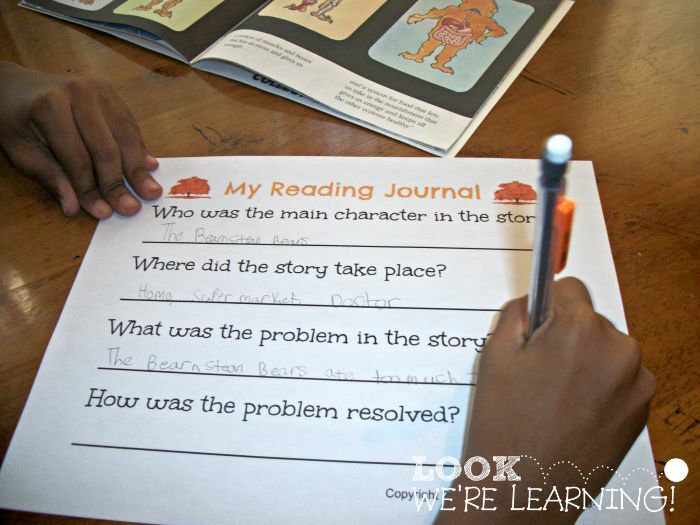 In second grade, one of the objectives is for children to learn to retell the main idea and details of a story. 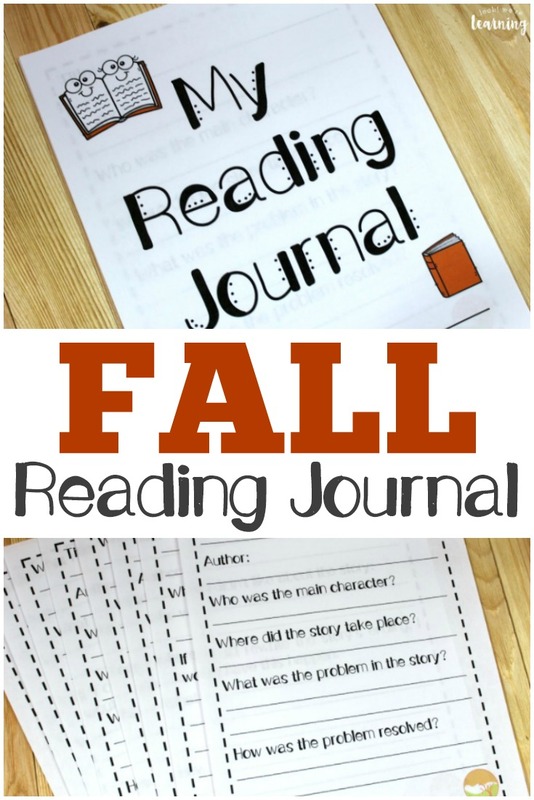 So I put together a printable reading journal for second grade with a cute fall theme! Read on to see how we used them and to get your own! 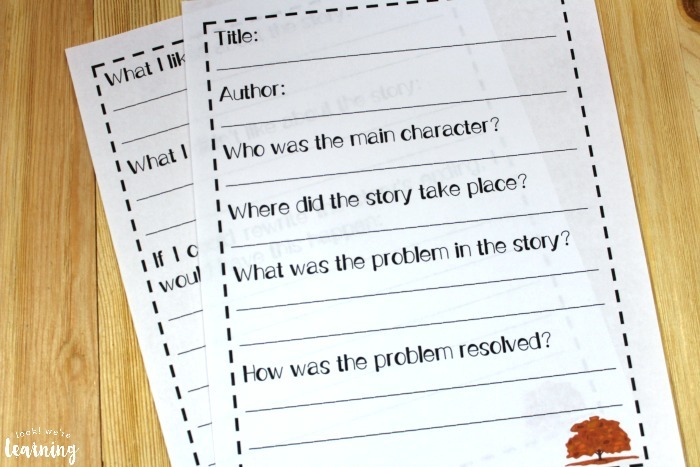 These would be wonderful for introducing kids to book reports, since you can use them to help students identify author, story, setting, and character. But they’re also a nice introduction to creative writing! By the way, be sure to check out our second grade reading list for some awesome children’s book recommendations! 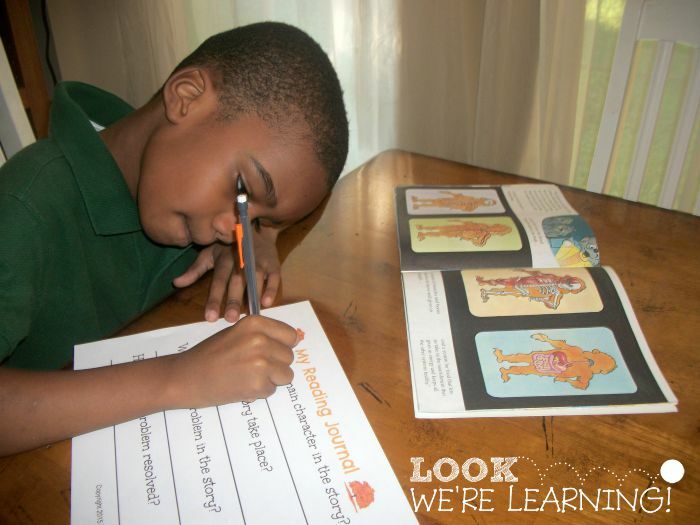 In first grade, Pooh really grew in his independent reading. 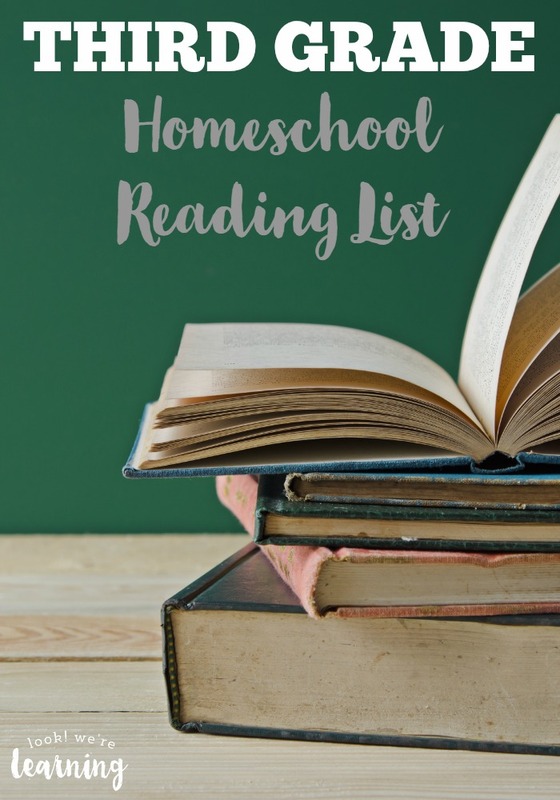 I want to make sure that he keeps reading for fun this year, but we also want to make sure that he understands what he reads and can explain it to others. 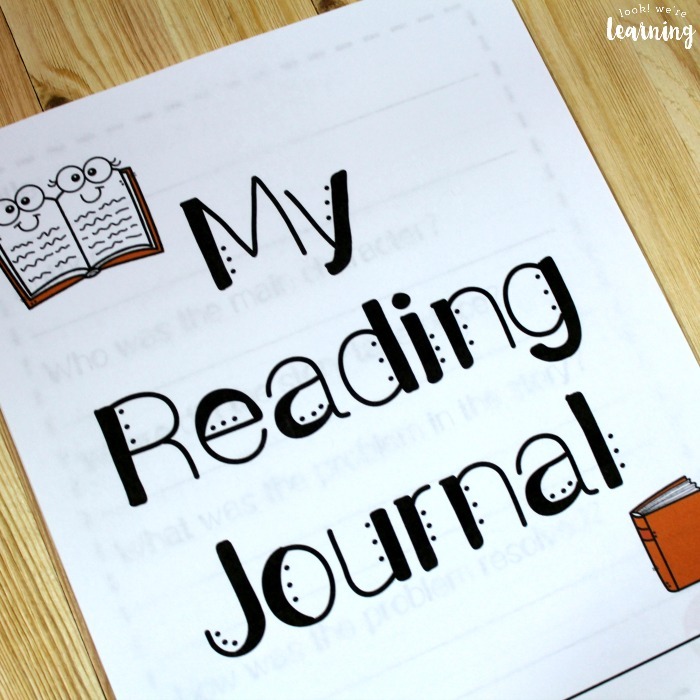 Enter a reading journal! On the cover page is a spot for kids to write their names on their journals. The journal includes one cover page and eight journal prompts: two to be used each week. 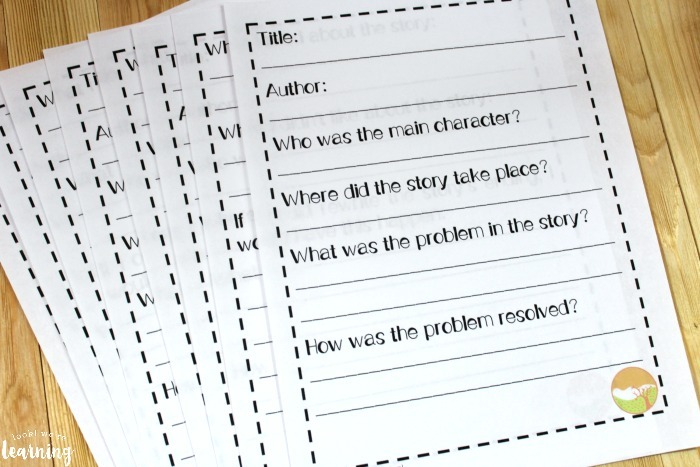 The first prompt asks students to identify the title of the book, the author, the main character, the setting, the problem, and the resolution. Identifying problem and resolution are the stepping stones to analyzing plot. 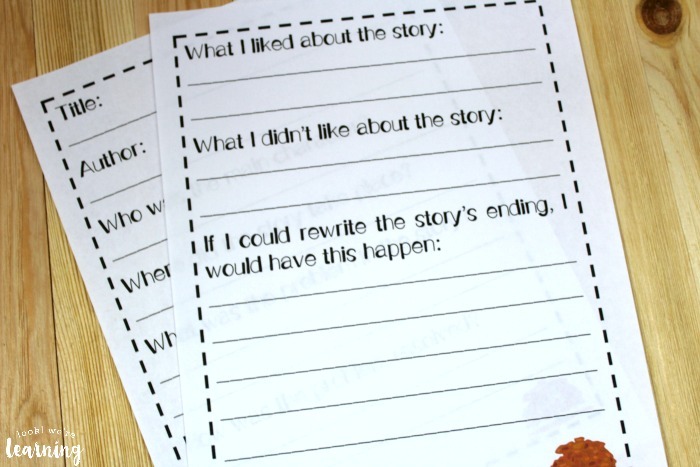 On the second prompt page, kids can express their opinions about what they’ve read by explaining what they liked and didn’t like about the story. They can also flex their creative writing muscles by rewriting the story’s ending their own way. Since there are four journal sets in the product, you can use this reading journal for an entire month. Simply print it three times to cover the entire fall season! 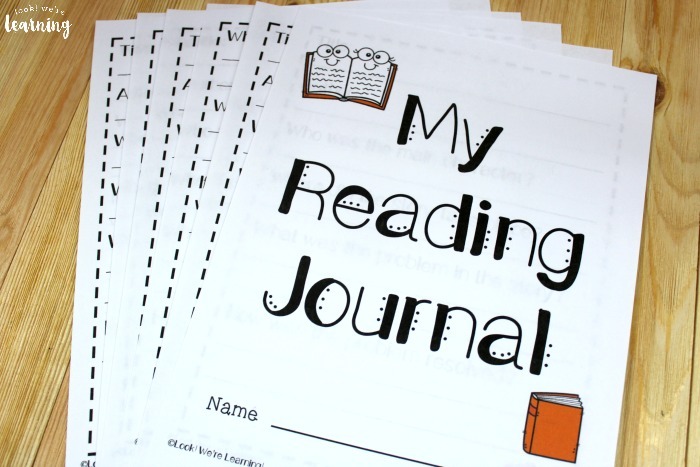 If you use the journal each month for three months, kids will have read and analyzed 12 stories! 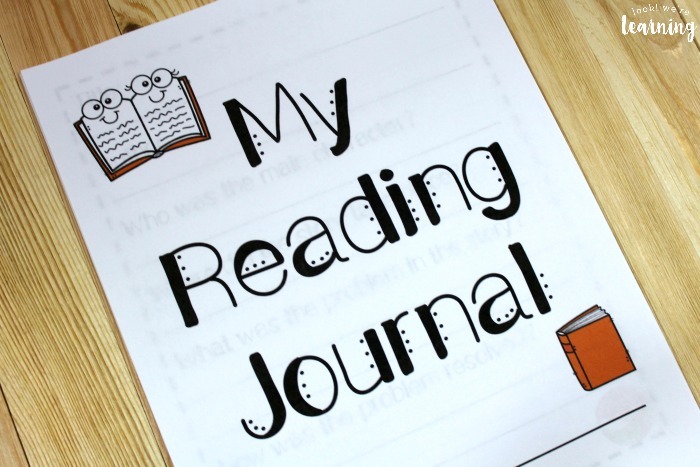 Here’s a look at the reading journal for second grade in action. After reading the book, Pooh started working on his journal. Since we’re just beginning second grade, I don’t mind letting him look back at the story to recall details for his journal pages. As the year progresses, though, my goal is for him to remember the details on his own. I think as we use the journals more often, he’ll get an idea of what to look for as he reads. 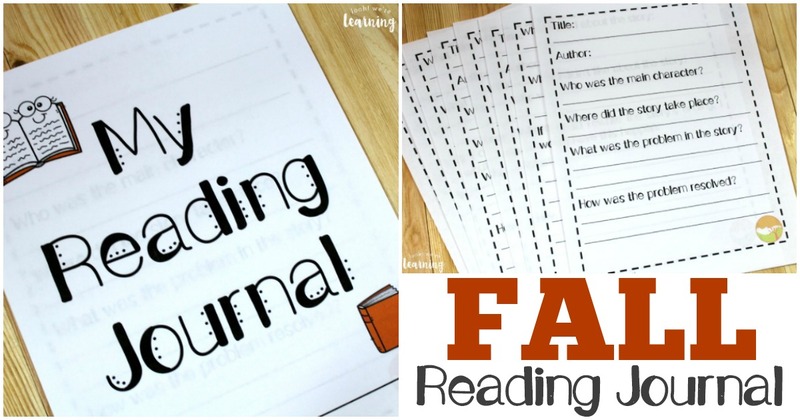 Scroll down to get your copy of our Fall-Themed Reading Journal for Second Grade!Check out our book recommendations for elementary-aged kids! 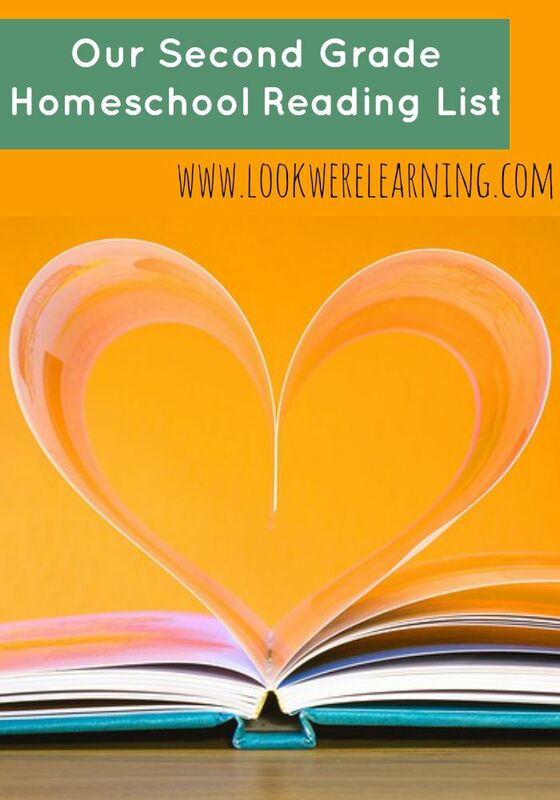 Plus, get more tips for raising readers on my Reading for Kids Pinterest board! 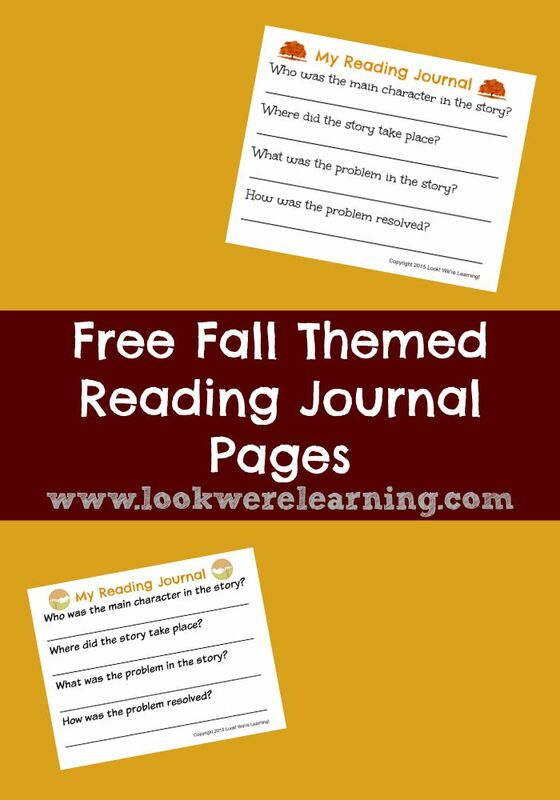 To get your copy of our Fall Themed Reading Journal for Second Grade, pick up our 2nd Grade Learning Bundle! This product, along with three other second-grade learning resources, are inside! 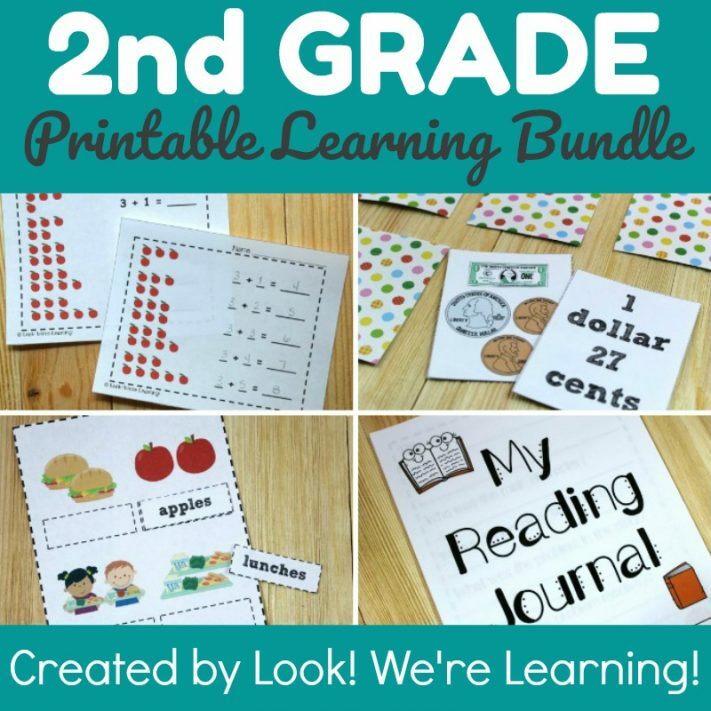 Click the image or the link below to check out the 2nd Grade Learning Bundle in our Store! 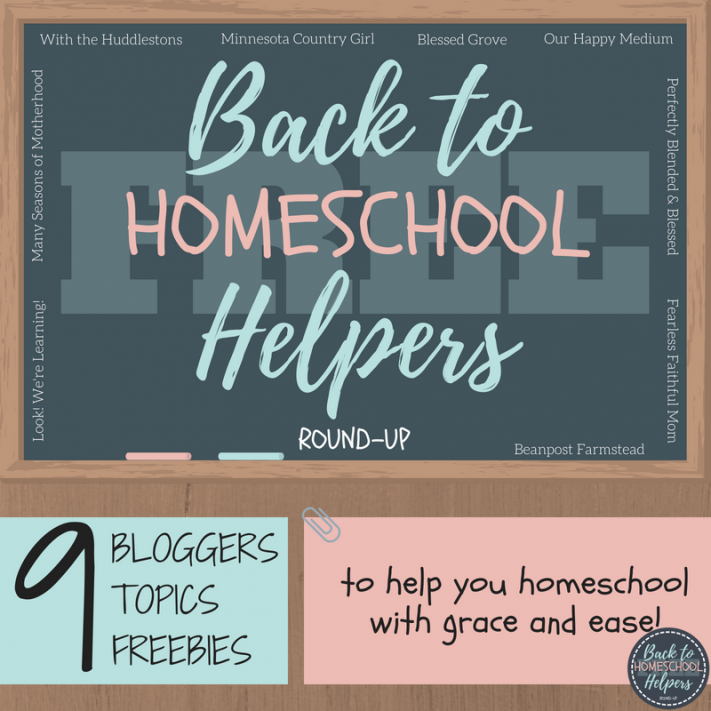 This post is part of the Back to Homeschool Helpers roundup! Stop by to see all the wonderful homeschool resources you can grab for free below! What a great way to have them show reading comprehension while still letting them choose the books they want to read. I’m excited to add this into our curriculum! What a great and simple way to help my kiddos retain what they read! Yes! Reading and writing go hand-in-hand. I love this post. These journal pages are adorable! Thanks for sharing them. 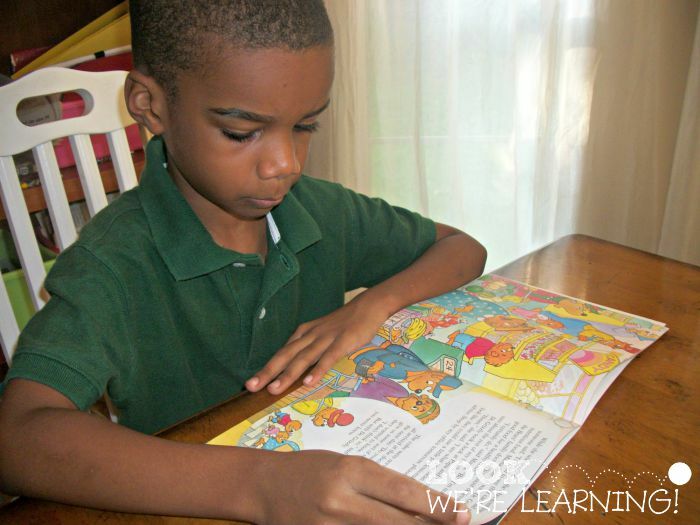 What an awesome way to teach your child reading comprehension!